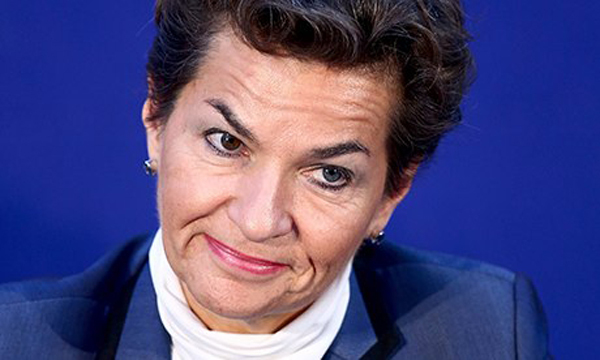 In a recent interview, United Nations climate chief Christiana Figueres said that we should be encouraging depopulation in order to “fix” global warming. I wonder who she wants killed first? Figueres is one of those globaloney nuts who imagine that the world is over populated and joins those from the 1950s, 60s, and 70s who said by the year 2000 the world would be so over populated that we’d all be dying of starvation. The U.N. predicts the global population will number 9 billion people by 2050–a number that makes many environmentalists worry. Climate One Founder Greg Dalton pressed Figueres on whether or not she thinks there are policies to reduce the 9 billion 2050 estimate. Let’s start with eliminating the United Nations. That would help all our futures get better almost immediately!